Well today’s been a pretty good day, despite getting up an hour earlier. I went to a carnival to celebrate the Jewish holiday of Purim, saw my parents dog, got my homework done much faster than I thought I would, edited a chapter of Rose, got in a good workout, and had an idea for a novel. So I thought I’d round out the day with a blog post, inspired by a blog post I read recently. 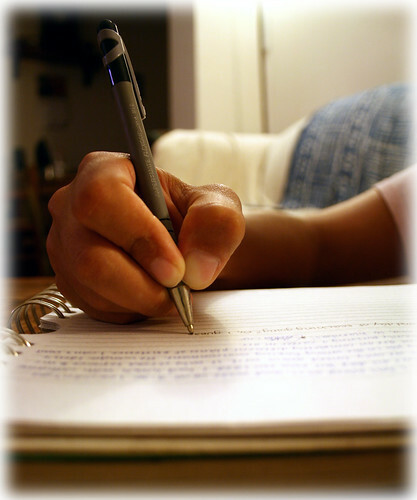 Do you think creative writing is a learned skill, or is it perhaps something instinctual? A lot of people, especially those who admire authors, believe that writing a novel is a born ability (yet these same people say they’ve “always wanted to write a book”, but have a hundred different excuses for why they don’t). From authors, I’ve heard different interpretations on the subject, but many feel that it’s a learned skill, while a lot also think it’s somewhat natural. If it’s all learned, that means that with enough work and motivation, writing a story can be done by anyone. Put in enough practice, and eventually you can get at least the rudimentary skills down to weave together short stories or novels. It sounds good, but it also means that in the current state of the industry, where with the right resources anyone can publish, that we’ll see an even bigger flood of books from new writers. Some of these new books, unfortunately, will be poorly edited and even more poorly written, put out by people who might not be serious enough to put in the work needed for a book. They just want to see their name in print, to say they’ve published a book and are authors too. On the other hand, if writing is all intuitive, then that means that likely there is some sort of gene or genes that allows for the imagination to come up with plots for stories and to transmit them to paper. I can only see downsides to this, personally: if writers are born, then that makes the realm of literature and its creation more exclusive than it already is. And writers who get rejected several times may get disheartened and give up writing altogether. Our next Hemingway, Rowling, Morrison or King, stopped by feelings that they aren’t worthy, or that they weren’t born with the right genes. Personally (and perhaps mercifully), I tend to lean towards a combination of the two. It’s undeniable that there are things you can write that can only be learned. I’ve seen plenty of evidence of that in the past semester and a half, getting plenty of lessons in the course of doing a thesis and in my last creative writing class. You learn through reading and writing, through getting feedback form readers, peers and professors, and from getting rejections from publishers, agents, and editors of all sorts. They give you all sorts of lessons in what writing is, and what good writing should be. And you never stop learning, no matter how much experience you may get. Only with both can you become a writer. On the other hand, you can’t learn imagination. You can’t learn how to dream, how to think “what if?” That is born, and so is the desire for the stories you come up with to appear on the page, to be shared with the world and be reborn in the minds of your readers. Without that, it would be very difficult to become a true writer. The skill you are born with and the skill you acquire over a lifetime. Imagination and motivation, coupled with an assortment of lessons derived from the books you read and the stories you try to write.To become a writer, you need both. All writers with a passion for their craft need them in order to fulfill their dreams and set them down on the page. It’s these that make us who we are, the makers of magic. Do you believe the ability to write is born or learned or both? Why? I think you know I believe it’s both. While we have to learn to write in order to do it at all, we still need the desire to further that passion. Without it, why would we write? Great post! I’m glad you liked it. And you’re right, we definitely need that passion in order to acquire the skill to write in the first place. I think it’s a bit of both. The skill is probably something you learn and develop over time, but the desire or urge to write is from within or something we’re born with. At least I think so. Great post! Thanks, Katja. And I believe you’re right, it is a learned skill, but it develops because of something from within. I disagree that imagination is something we’re born with. Studies have shown that doing things like reading books increases imagination, especially in children, and likewise games can increase curiosity and that drive to learn. Even my drive to write can at least be partially attributed to my mum’s love of books (though I suppose there’s a nature-vs-nurture argument there – do I love books because she read to me, or do I love books because I inherited the bookish gene?). I don’t necessarily believe that writing is something that can entirely be learned, but I think much of what seems intuitive and innate is really the result of passive learning. I’ve never heard of these studies. If I had, I might’ve written this blog post differently. Do you know where I can read them? I know I’ve read stuff about imagination/creativity and reading before, but I can’t seem to find it right now. I’ll have another look after dinner. I read the article, and I find that very interesting. I never knew that. Thanks for posting the link. I think that it’s probably somewhere on the spectrum. Maybe some people are just born to write; others just want to, and so they learn the craft. Still others are born with an instinct that it’s something they should be doing, but don’t necessarily have the skills, so they hone them over time. That’s something I hadn’t thought about, a spectrum. Interesting viewpoint. I’ll have to think about that. Thanks.